Congratulations on your engagement and welcome to JAS Productions—Wedding DJ & MC services custom-tailored for the stylish, detail-oriented, & fun-loving couple. -Custom tuck & cover of all wires & cables. 99% of our DJing business is Wedding related--We know weddings! 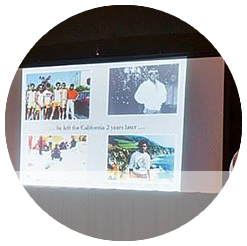 JAS Productions is a full-service Wedding DJ in Santa Barbara, CA providing DJ/MC Entertainment, Up-Lighting, Down-Lighting, and Wedding Coordination. 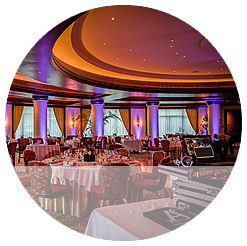 We also provide DJ Services in Ventura, Westlake Village, Woodland Hills, Simi Valley, and Los Angeles. We pride ourselves on our ability to orchestrate a fun event where you and your guests have a great and stress-free time, in an elegant and sophisticated atmosphere. Our couples enjoy a personalized experience, customized to their unique needs and tastes, while taking aesthetics and logistics into account. and Justin will personally contact you within 24 hours. 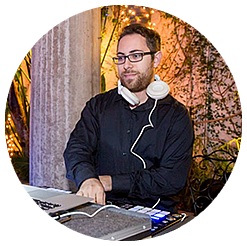 Santa Barbara Wedding DJ, Justin Stern (DJ JAS) began his DJ career in 1999 DJing private events and parties. During this time, DJ JAS honed his beat-matching and mixing skills. By 2006, DJ JAS was well known as the “Party Rockin' DJ” at the University of Arizona and was selected to perform on the Virgin Mega Tour. Shortly after, DJ JAS made a name for himself in the Club DJ Scene in Arizona and in California, as industry leaders and party-goers recognized that his mixes were impeccably executed, and his timing was second to none, always playing the right song at the right time to hype the crowd even further. Rest assured, you are actually getting a REAL DJ, not a human jukebox, iPod DJ, or streaming playlist. You are getting a DJ who can read the crowd, tastefully mix the music, and create smooth and creative transitions between songs. The simplest answer – because you want service and quality you can count on. We ensure that the entertainment is one thing you will not need to stress and worry about when planning your event. When you choose JAS Productions, you are not just choosing us to entertain your guests – you are choosing us to help make your event an unforgettable success. From pre-planning to execution, we will be there when you need us. We go above and beyond to offer the absolute best customer service. 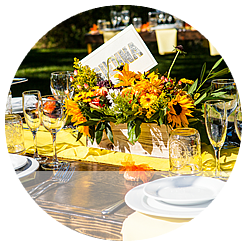 We provide excellent and timely communication, and if it means scheduling extra planning sessions or arriving early at the event, you can count on us to get it done. 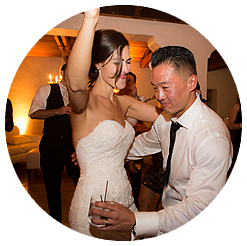 When looking for a wedding DJ in Santa Barbara, choose JAS Productions to experience the difference. 5/30/2018-- Justin was the best DJ ever! All of our guests came up to us during the reception and the next day to tell us how awesome he was. The dance floor was exactly what we wanted - high energy, no pauses between songs, and a perfect playlist! He ran the evening perfectly with speeches, introductions, background music, etc. We've been to a lot of awkward weddings (where the DJ thinks the show is all about him/her) so it was important to us to have a great DJ who made everyone feel comfortable, excited, and helped the night flow while not being the center of attention. He was extremely easy to work with throughout the wedding planning process - responsive, always on time, and made sure all of our requests were noted. Without Justin, our wedding truly wouldn't have been as memorable for us or for our guests. We really cannot recommend him enough! 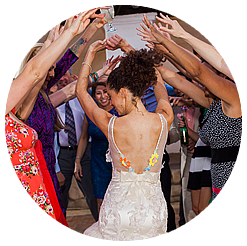 "Boutique Wedding DJ Service based in Santa Barbara California. DJ Services are also provided throughout Los Angeles, Westlake Village, Thousand Oaks, Simi Valley, and Ventura Country."